Harrods, the London based department store, is shutting the doors to its world famous pet department. 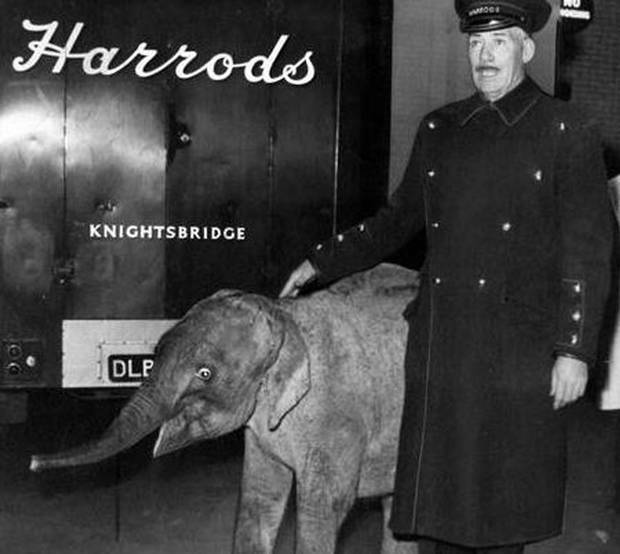 Once upon a time, before exotic animal laws and the endangered species act, Harrods sold everything from alligators to baby elephants. It is said to have had a collection that rivaled the London Zoo’s, and in 1969, it housed two lion cubs. When Bourk and Rendall saw the little male lion cub, they knew that they could find a way to give a life that was better then living in a little cage. So Christian the lion found a new home. I haven’t been able to find out what happened to the other lion cub that was housed at Harrods with Christian, who was his sister, both of whom were born at the Ilfracombe Zoo in Devon. Their mother rejected them and thats how they ended up in Harrods. So Christian came home to live in the flat/furniture store that was owned by Bourk and Rendall (funnily enough, named Sophisticats). Christian was the king of pine furniture for over a year. Bourk and Rendall took Christian out to run and play every day at a nearby garden and kept him happy and well fed, but they knew that he could have a better life, so they called George Adamson in hopes he could be rehabilitated and live the life of a wild king in Africa. 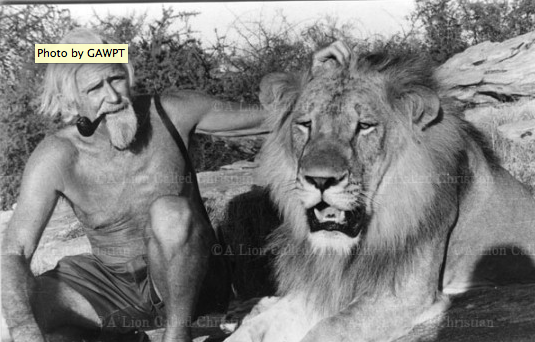 George Adamson eagerly built a man-made pride for the 5th generation English lion, and so Christian’s journey began. Christian faced the normal challenges of an adolescent male lion, and had to work to earn his place in Kenya. One year after Christian moved to Africa his old friends Bourk and Rendall went to Kenya to visit him. This happy meeting is the video that has made Christian so famous. Christian was last seen heading into the Meru National Park in 1973 where he is suspected to have headed out and headed his own pride. To learn more about Christian click here. Great post! I’ve always loved this video and appreciate the backstory to go along with it. Thanks for sharing! I do hope the sister ended up in a good place as well.